According to The Oregonian, Clark County (Washington) Public Health officials stated there are 36 confirmed cases and 12 suspected cases are related to the measles outbreak as of the end of January 2019. One month after, the number of confirmed cases increased to 72. The Oregonian also states that Clark County has one of the lowers vaccination rates in the state. The Oregonian also said that the Washington state data showed that nearly 8% of children in Clark County had vaccination exemptions in the 2017-2018 school year. The mentioned exemptions also included the MMR vaccination – vaccination against 3 diseases: measles, mumps, and rubella. This outbreak also became a reason for the debate over the increased vaccination exemptions allowed for children of school-age across the United States. Another topic is would those exemptions lead to such measles outbreaks or other diseases that considered to be eliminated. Dr. Douglas J. Opel, a pediatrician at Seattle Children’s Hospital said that it was alarming and any time they had an outbreak of a disease that they had an effective and safe vaccine against, it should raise a red flag. Clark County is not the only county in Washington state with confirmed measles cases. Recently, the Oregon Health Authority said about two new cases: in Multnomah and Clackamas County. Both cases have been linked to an outbreak in Marion County. With these cases, the number of people diagnosed with measles is increased to four. However, this outbreak is not related to the Vancouver-area one, that began in January this year. Washington public health officials said there were up to 50 different locations infected people visited during the measles incubation period. Those places included daycares, schools, churches, Seattle airport, Walmart store locations, Portland Trail Blazers game. Measles is a viral infection, symptoms of which include high fever, cough, runny nose, red, watery eyes. 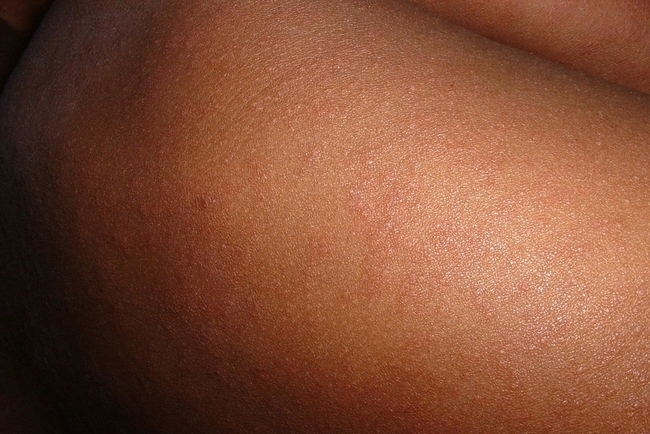 One of the most recognizable symptoms of measles is a red rash that cover the body. Another one is white spots that may appear inside the mouth after 2-3 days after infection. Most people can recover after measles. However, in case of complications (swelling of the brain or pneumonia) measles may be deadly. Measles is a highly contagious disease and it spreads through sneezing and coughing. After a person with measles coughs or sneezes, the infection may linger in the air for several hours. Measles can be easily prevented by vaccination, which is given in 2 separate doses. In 97 percent, the anti-measles vaccine is effective against the virus. Once a person gets a vaccine, he or she gains immune against the virus, and if everybody in the community has such an immune, the risk of the disease outbreaks falls to near zero. If people get vaccinated against the measles, the risk of getting in contact with someone who has measles is decreasing as well. When community has almost a zero chance of measles (or any other contagious diseases) outbreak, it is known as “herd immunity”. This type of immunity is different for every disease. Be the first to comment on "Public Safety Emergency Caused By Measles Outbreak in Washington State"